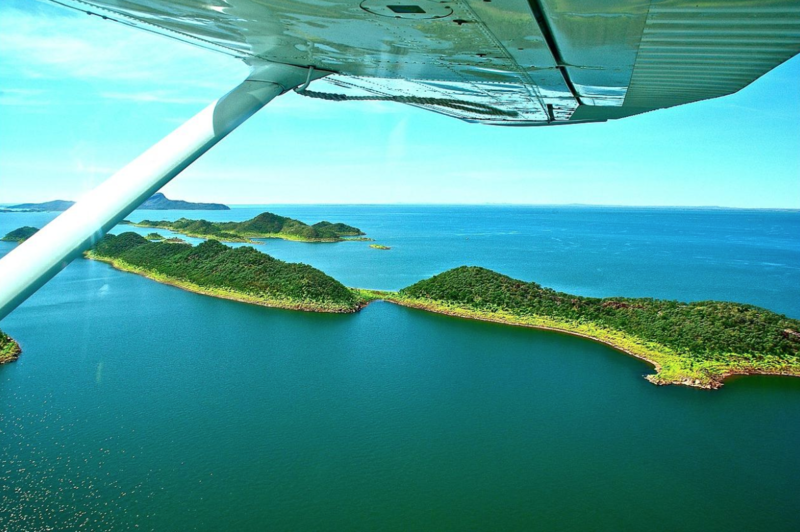 Even for experienced flyers, a plane trip to Fiji can be a daunting proposition. It’s often intimidating to go somewhere entirely new. You may be traveling with an unfamiliar airline and you’ll likely be negotiating a completely new airport. It’s normal to have concerns about this experience. Fortunately, we’re here to allay your worries. Travel to Fiji is as easy as can be, and you’ll be well taken care of as you make your way to the most beautiful place on Earth. Here are the answers to a few of the most commonly asked questions about air travel to Fiji. Most travelers arrive in Fiji via Nadi International Airport, the country’s primary airport, located on the island of Viti Levu. From there, you have a few options. Throughout the islands there are several domestic airports. These provide access to Vanua Levu, Taveuni, and many of the smaller islands. Domestic flights are not your only choice. Depending on where you’re trying to go, you may be able to find a boat to take you from Viti Levu to your destination. If you need to get from the airport to a pier, you should have an easy time finding a taxi to take you. Many travelers fear not being able to read the signs in the airports and becoming hopelessly lost. However, for English speaking visitors to Fiji, this won’t be an issue. A majority of the traffic passing through Nadi International Airport consists of tourists, and consequently all signs at the airport are written in English as well as Fijian and all airport employees are able to speak English. If you are more comfortable with a language other than English or Fijian, you’ll likely still be able to seek help at the airport kiosks, which can be translated into many different languages for the convenience of the user. Worried about a long flight? We’re willing to bet your flight time to Fiji will be shorter than you think! In fact, some departure points will have a very modest flight time. The shortest flights to Fiji are from New Zealand, Australia, and Hawaii, clocking in at three, four, and five hours respectively. A flight from the continental US, leaving from California, will take about as long as one from anywhere in Eastern Asia—nine to ten hours. Pretty standard for an overseas journey, and it will be worth it when you’re kicked back and relaxing on your all inclusive Fiji trip. Some all inclusive Fiji vacations include the flight as part of the package. Others allow you to make your own air travel selections. Whatever kind of deal you have, rest assured that your travel experience will be as easy and enjoyable as a domestic US flight. Before you know it, you’ll be on the beach and ready to soak up the sun. Questions? Ready to book? Contact us!